Amos, Mississippi, is a quiet town. Silas Jones is its sole law enforcement officer. The last excitement here was nearly twenty years ago, when a teenage girl disappeared on a date with Larry Ott, Silas’s one-time boyhood friend. The law couldn’t prove Larry guilty, but the whole town has shunned him ever since. Then the town’s peace is shattered when someone tries to kill the reclusive Ott, another young woman goes missing, and the town’s drug dealer is murdered. Woven through the tautly written murder story is the unspoken secret that hangs over the lives of two men - one black, one white. 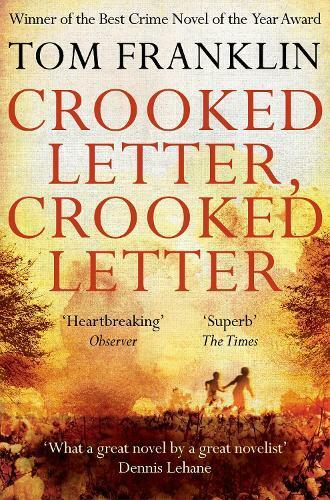 Crooked Letter, Crooked Letter is a masterful crime novel, sizzling with deep Southern menace, and distinguished by brilliant plotting and unforgettable characters.